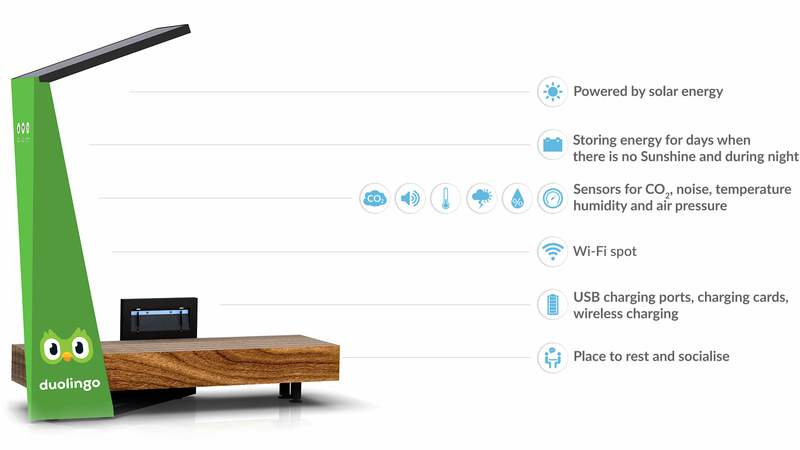 The Smart Bench for Smarter Cities. (( )) on the bench), and press the START button to enjoy the free solar energy. Find “Smart Bench” Wi-Fi on your device, accept the Terms and Conditions, and create a new account or just log in. 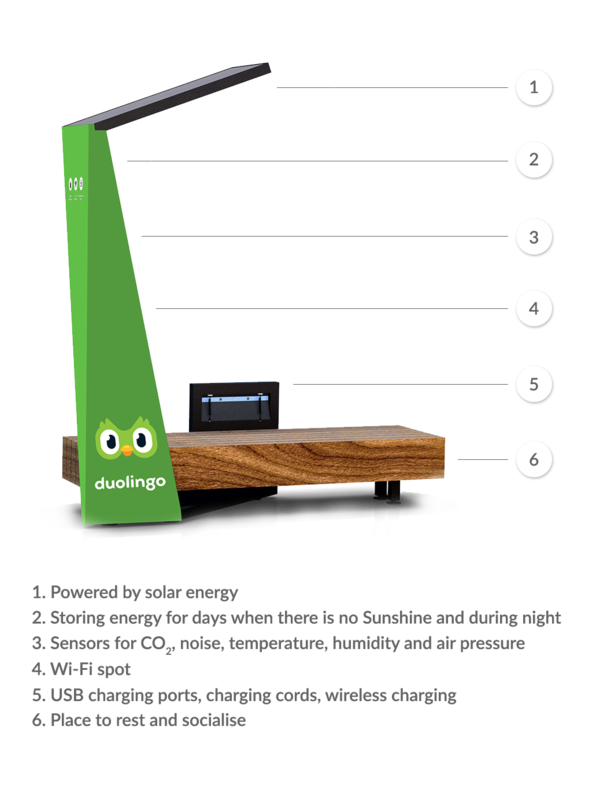 Once set up, you can access free internet, via the Strawberry Smart Bench. Check out current environmental conditions, such as noise level and CO2, with the StrawberryApp on Android and iOS devices. For the last two years our team have been investing our hearts and souls into Strawberry energy in order to bring a Network of Smart Benches to London. We’ve now completed our first phase with 20 Smart Benches in three central boroughs and have worked with two awesome partners (Cancer Research UK and Ford). We're now looking to take the next step and accelerate our business and growth of our Network. In that regards, we are excited to announce the start of our crowdfunding campaign. Because we'd love for as many of our followers, fans, and people who know our business to be a part of what we're doing, we're raising investment through equity crowdfunding on Crowdcube. Crowdcube is Europe's leading equity crowdfunding platform which makes it really easy for anyone to invest in exciting growing business like us for as little as 10 pounds. More info about our campaign at www.crowdcube.com/strawberry. Copyrights © 2018 All Rights Reserved by Strawberry Energy LTD.